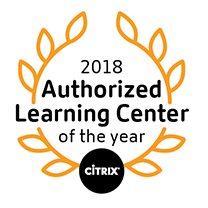 Learn to secure your Citrix environment in this hands-on course that encompasses the core Citrix technologies, including Citrix Virtual Apps and Desktops, ADC, Endpoint Management, Content Collaboration and Citrix Cloud. Explore potential security gaps in your environment and learn how to mitigate these through a comprehensive look at the Citrix technologies. Topics include application and data security, Citrix authentication, authorization, and auditing workflows, operating system hardening, mitigation against network vulnerabilities, hypervisor security, and methods to secure Citrix traffic. Built for IT Professionals working with previous Citrix Virtual Apps and Desktops, Citrix ADC, Citrix Endpoint Management, Citrix Cloud, and/or Citrix Content Collaboration.). Potential students include: administrators, engineers, and architects interested in securing a Citrix environment.